The official site has released details of a new Doctor Who game, Amy's History Hunt, to be released next week. The game will is not part the Adventure Games series and does not need to be downloaded. 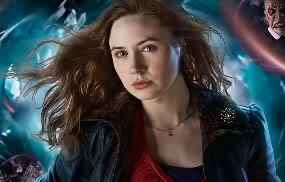 It stars Karen Gillan as Amy and features a series of specially shot videos. The challenge is to unlock the Doctor's safe and if you're successful you'll release a special short story by Paul Cornell, writer of Father's Day, Human Nature and The Family of Blood. Throughout the quest you'll find out more about the Doctor's friends and places he's visited. Plus, you'll get Amy's unique point of view about some of the people she's met during her adventures with the Time Lord. Details are available for Relics of Time, the first episode of the new Tom Baker audio series Demon Quest. The BBC Audiobook production comes in five parts and is a sequel to Hornet's News released last year. Tom Baker reprises the role of the Fourth Doctor and is joined once more by Richard Franklin and Susan Jameson, reprising their roles as Mike Yates and Mrs. Wibbsey respectively. 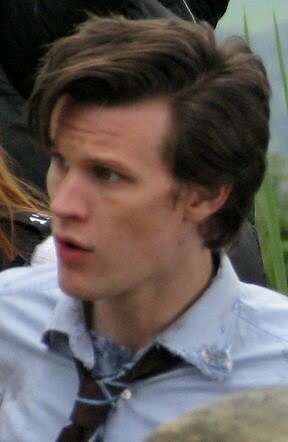 The Doctor returns to Nest Cottage but lands in trouble when a key component from the TARDIS disappears. Mrs. Wibbsey is inadvertently responsible, but all she can offer in recompense is a bag containing four curious objects. It seems that each one is a clue, and the beginning of a chase through Time. In ancient Sussex they are apprehended by primitive tribesfolk, and mistaken for wizards. Can the revered goddess Wibbsentia get them out of hot water? Who is the fearful wizard in the neighbouring village, and why is the countryside littered with bodies? The Doctor and Mrs Wibbsey are about to discover that all is not right with history. The series also features Nigel Anthony as the Wizard and Rupert Holliday Evans and Kate Sachs as the Warriors with with Samuel West, Lorelei King, Jan Francis, Finty Williams and Rowena Cooper. The series is written by Paul Magrs and the first part is released in the UK on 2nd September and in the US on November 16. Doctor Who's showrunner, Steven Moffat has confirmed he will be writing five episodes of the next series of Doctor Who to be broadcast in 2011, as well as the forthcoming Christmas Special. Talking to Den of Geek, Moffat confirmed he will be following the previous pattern established by Russell T Davies, with the Lead Writer penning five of the thirteen episodes in the series. As previously reported Neil Gaiman will be writing one episode, thought to be the third in the series. Writers have not yet been officially confirmed for the other seven episodes in the series. Executive Producer Steven Moffat has given an interview to Tom Harris, MP for Glasgow South and Doctor Who fan, conducted on the terrace of the Palace of Westminster. The two have been friends since 1989 when Harris was a reporter on the Paisley Daily Express. Actor Steve North will be playing a character called Older Benjamin in the 2010 Christmas Special according to his Spotlight entry. North has had roles in Casualty, The Bill and Midsomer Murders. World music trio Manta recently appeared on ABC Australia's music programme Spicks and Specks playing their version of the Doctor Who Theme, the results of which are on the ABC YouTube Channel. Details have been released of the 2010 series boxset which will be released in the UK on 8th November 2010 and in North America on November 9, 2010. Branded The Complete Fifth Series the boxset is available in DVD and Blu-ray formats. In the UK, as well as the general release, a number of sets will be available in the form of a specially limited edition. Special features include additional scenes written by Steven Moffat and exclusive to DVD. Additional scenes: Meanwhile in the TARDIS, written by Steven Moffat and featuring Matt Smith & Karen Gillan, telling the story of what happens between episodes. Why was Amy floating in Space above Starship UK, and what happened after 'that' kiss between the Doctor and Amy? Monster Files - The Monster Files will get under the skin and inside the minds of the latest Doctor's most challenging opponents. With previously unseen footage and exclusive comments from cast and crew, the Monster Files take fans old and new even further behind enemy lines. What a busy couple of weeks its been. Despite Series 5 of Doctor Who having finished, hardly a day goes by without some sort of Who-related news popping up. For a fuller round-up, remember to look in on Doctor Who in the Media, but, to whet your appetite, here's a summary. On Sunday, BBC 1 premiered the long-awaited first episode of Sherlock (see our earlier story), Steven Moffat and Mark Gatiss's updated version of Arthur Conan Doyle's Sherlock Holmes. It stars Benedict Cumberbatch as Holmes, Martin Freeman as Dr John Watson and Rupert Graves as Inspector Lestrade. Cumberbatch has created a bit of a stir in the last few days by suggesting, first, telling Digital Spy that he may well be appearing in several episodes Doctor Who, and, then, according to the Sun that he considered becoming the eleventh Doctor before Matt Smith was cast in the role. Again, according to the Sun, Matt Smith is eager to leave Doctor Who to pursue a career in Hollywood. However, this has been denied by both Moffat, to BBC News, and Karen Gillan, during her visit to Veuve Clicquot Gold Cup Final at Cowdray Park Polo Club! For a less sensational take on this, see this story and this story on Digital Journal. Nicky Wire, of the Manic Street Preachers, caused a bit of a stir when he blogged on the band's website that he was writing a Doctor Who script. He's since clarified on Twitter that it's fan fiction and not a BBC commission. Russell T Davies has been speaking to SFX about the fourth series of Torchwood and has also dealt with the rumours surrounding a Johnny Depp as the Doctor Hollywood movie! This story covers the original "exclusive" and RTD's debunking of it. Finally, there was plenty of press coverage surrounding the start of filming of the 2010 Christmas special (see this Gallifrey Base story), guest-starring Sir Michael Gambon and Katherine Jenkins, including here, here and here. Issue four of the Finished Product, the unofficial companion to the Big Finish audio series, is due for imminent release. This issue concentrates on the UNIT series, looking at it from inception through to final execution, as well as revealing some ideas for the never-made second series. And lots of the interviewees talk about their memories of David Tennant in one of his final roles before playing the Tenth Doctor. Interviewees include producer Ian Farrington, writers Simon Guerrier, Iain McLaughlin, Jonathan Clements and Joseph Lidster, directors Edward Salt and John Ainsworth, actors Ian Brooker and Robert Curbishley, as well as sound designer and composer David Darlington. In addition, there's also an interview with DWM award-winning Big Finish composer Russell Stone. For more details and ordering information, email thefinishedproduct@hotmail.co.uk. This month's SFX magazine has a Torchwood cover and inside, there's a four-page feature talking to Russell T Davies about his plans for the fourth series. He also comments on the recent rumours about Johnny Depp starring in a Doctor Who movie. I’ve always had this story in mind, and when you discover what it is, you’ll go, ‘Oh, right...’ You’ll see how that can spread out [for ten episodes]. Actually, Children Of Earth could have run for ten episodes. Once you get martial law declared, we could have done three more episodes of that - if anything, we slightly rushed that ending. So this story is on that big a scale. It’s not a Lost-type story, full of mystery, and it’s not particularly complicated - it’s more linear. Ten parts just gives us a chance to move it onto the international stage where it takes place. The vast majority’s going to take place in America - and other countries as well - so it's got a size to it. It’s a proper, big, global ten-hour thriller. The actor Derek Pollitt has died at the age of 83. 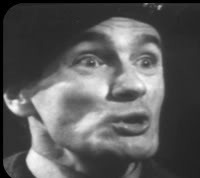 Derek Pollitt had three roles in Doctor Who. In 1968 he played Driver Evans in the Second Doctor story The Web of Fear. Evans was part of Colonel Lethbridge Stewart's team, and the only survivor, other than the Colonel himself, from a fight with the Yeti. Evans always sang when scared. Pollitt returned to the series in 1970 playing Private Wright, a UNIT officer, in the third Doctor's second story Doctor Who and the Silurians. His final role in the series was not broadcast as he played A. St. John D. Caldera, a neurologist whose mind was stolen, in the cancelled story Shada. Pollitt had a long association with Llandudno in Wales, where he and his then wife Pamela Rayner ran the Galleon Theatre Company for many years staging plays at the Grand Theatre in the in the 1960s. A keen sportsman, he played a couple of times in the 1960s for the Llandudno Second X1 cricket team and at the age of 64 he did a sponsored walk from John O’Groats to Land’s End to raise money for a London hospital. He died in hospital in Surrey on July 11. 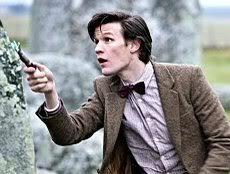 The first Doctor Who Prom of 2010 took place today, Saturday, hosted by Matt Smith and Karen Gillan. The BBC National Orchestra of Wales, who record the soundtrack for the series, presented a selection of intergalactic music, including Murray Gold’s music from the TV show, plus a selection of classical favourites including Wagner's Ride of the Valkyries, Mars from Holst's The Planets and Orff's Carmina Burnana. Utterly nerve-wracking... I think that Murray Gold is incredible, totally incredibly – a genius – and to hear all that in the Royal Albert Hall will just be one of the most soaring experiences. The concert programme can be viewed on the Proms website, providing full details of the concert, the performers' biographies and an interview with Matt Smith and Karen Gillan. The programme is now available for seven days on the BBC iPlayer. How do you make a sink-plunger seem scary? Matthew Sweet, who spent the Saturday tea-times of his youth peering at the television from behind the sofa, time-travels through Doctor Who's 47-year history to investigate the weird and wonderful soundworld of its incidental music. He talks with some of the composers who have contributed, in very different musical styles, to the enduring success of the programme over the decades. 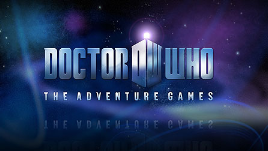 The Windows versions of the first two episodes in The Doctor Who Adventure Games are now available to download internationally. Both City of the Daleks and Blood of the Cybermen, are now available globally from Direct2Drive.com, IGN's digital retail game store. The games are being launched to coincide with the North American season finale of The Big Bang, which airs July 24 on BBC America and SPACE, and with this year's Comic-Con festival. No Mac version has yet been made available internationally. The games are still available to download free of charge for fans in the United Kingdom. Two more episodes are planned for release over the next couple of months. For the third month running Doctor Who has topped the monthly iPlayer request charts with the final four episodes of the series being the top four requested programmes for June. Top of the list was The Pandorica Opens with over 1.3 million requests during the month, followed by The Lodger, Vincent and the Doctor and The Big Bang all with over a million requests. The highest programme, not related to Doctor Who, was Top Gear with 0.88 million requests. During the month Doctor Who had 6.35 million requests in total, shared between 13 episodes, just behind EastEnders which had 7 million requests for one of the 22 episodes available. Figures for the year so far, give Doctor Who the top nine places in the download charts, and 14 of the top twenty places. The Eleventh Hour tops the list with over 2.1 million requests, by far the highest requested programme in the BBC iPlayer history. Because the whole series was on iPlayer from transmission date until July, the early episodes of the series were available for much longer and therefore had higher iPlayer figures. The final two episodes of the series will get a boost when the July figures are available. Full ratings for the series can be found in Gallifrey Base. Doctor Who Magazine issue 424 is published this week and thee magazine talks to Arthur Darvill, aka Rory Williams, about what the future might hold for the new Mr Pond. How does Arthur feel about potentially becoming a regular next series? Fingers crossed! If that does happen, then I’m really interested to know what happens to Rory and Amy’s relationship, and also how the relationship between the three of them works. Because there’s obviously been a big change to Rory after waiting 2000 years...! Also in the magazine Toby Haynes, director of The Pandorica Opens/The Big Bang, takes readers on a journey through the making of the epic season finale, with exclusive photos revealing how he brought the script to life. There is also a candid chat with the Doctor himself, actor Matt Smith, about his hopes for the next season, the forthcoming Christmas Special and Jo Grant’s mini-skirts and Steven Moffat, Doctor Who’s head writer and executive producer, names names and lets slip a secret or two about the next series, as he takes a rollercoaster ride in the latest Production Notes! Also in his most candid interview ever, Matthew Waterhouse talks about what it was really like being Adric in Doctor Who in the 1980s – and the many challenges he faced both in front of and behind the camera. The Doctor and Amy find themselves slave to the rhythm in Planet Bollywood, a brand new comic strip by Jonathan Morris, with art by Roger Langridge. The Fact of Fiction takes a trip back to the swinging sixties, and discovers that there’s more than just megalomaniac computers and massive metal monsters in the groundbreaking First Doctor adventure, The War Machines. And what were the very best Doctor Who DVD, audio and book releases of 2009? And which story has been voted the favourite Tenth Doctor Specials? Discover all the winners as the magazine announces the results of the DWM Awards. "The Man Who Invented The Daleks: The Strange Worlds of Terry Nation" is a new biography on the life of writer Terry Nation by Alwyn W. Turner, and is due to be published by Aurum Books during the spring of next year. The book will focus on Nation's work during the 1960s and 1970s, covering series such as Survivors, Blake's Seven, The Avengers, The Saint, The Persuaders! and of course Doctor Who, plus his involvement with comedian Tony Hancock and Associated London Scripts. In his acclaimed histories Crisis? What Crisis? and Rejoice! Rejoice! Alwyn has proven himself one of the most stylish and authoritative writers on British popular culture working today. By drawing together the various strands of Terry Nation's life and career, this book will offer a captivating window onto the creative melting pot without which British television today would look very different. The author Alywn Turner is interested to hear from anyone who knew and wishes to share their memories of Terry Nation, and may be contacted by email.